21st Century Fox officially announced the completion of the Disney and Fox deal, which will be effective in the morning of March 20th. That means Marvel Studios will now have the chance to bring the X-Men and Fantastic Four characters under the Marvel Cinematic Universe. 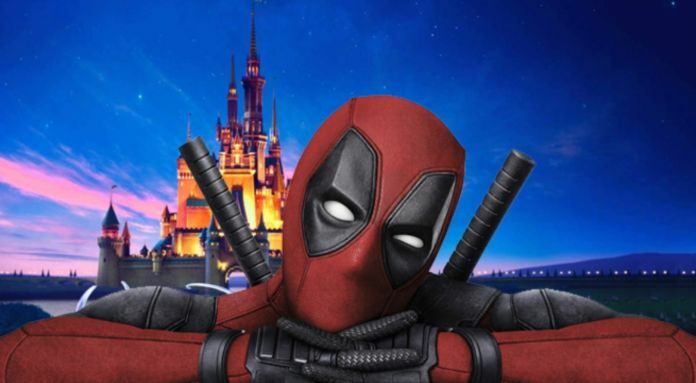 Deadpool will still have a future, but Disney CEO Bob Iger has said that the Merc with a Mouth will remain R-rated and will be under a different banner as to not confuse families and parents. Today, Deadpool actor Ryan Reynolds responds to the Disney and Fox deal officially closing. Reynolds shared an image of Deadpool wearing a Mickey Mouse hat with ears as he’s sitting inside a Disney bus. The caption reads, “Feels like the first day of ‘Pool. '” The first day of school can be very exciting and nerve-wracking. What will life be like for Deadpool once the X-Men joins the MCU? Is he still going to be able to make jokes or feature characters from the X-Men universe? With Deadpool likely staying under the 20th Century Fox banner, he’ll definitely have free reigns on jokes. Judging from what Iger said, it’s likely that X-Men cameos won’t be happening since that will definitely cause confusion for families. At least Deadpool fans will still get to see future films while retaining the R-rating. Marvel Studios head Kevin Feige has been very quiet about the next phase of the MCU after the events of Avengers: Endgame. There are a lot of questions including when Marvel Studios will begin working on bringing X-Men and Fantastic Four into the MCU. We do know that Spider-Man: Far From Home is coming in July thanks to Sony needing to promote the film. As for upcoming films, the studio is working on a standalone Black Widow film, Shang-Chi, The Eternals and sequels to Black Panther, Captain Marvel and Guardians of the Galaxy Vol 2. The post Deadpool’s Ryan Reynolds responds to completion of Disney and Fox deal appeared first on Nerd Reactor.